All our teachers have substantial experience in their respective field. They will encourage you to play and progress whatever your level and ambitions. Our motto is EXCELLENCE THROUGH JOY! Vladimir Jocic has completed an "A" level course in music pedagogy and theory by the age of 18. Soon after he went on to study at the Kingston University, and acquired an HND in music recording, music technology and music business studies. From there he moved to the London Music School where he completed a diploma course in performing, instrument guitar. In 1999 he had won a scholarship at the Trinity College of Music in London and had enrolled and completed a Master of Arts degree in Music Education. Soon after he had decided to broaden his educational ethos and skills, and has decided to study the Montessori pedagogy. In 2003 he has gained an International Diploma and Licence in Montessori pedagogy. 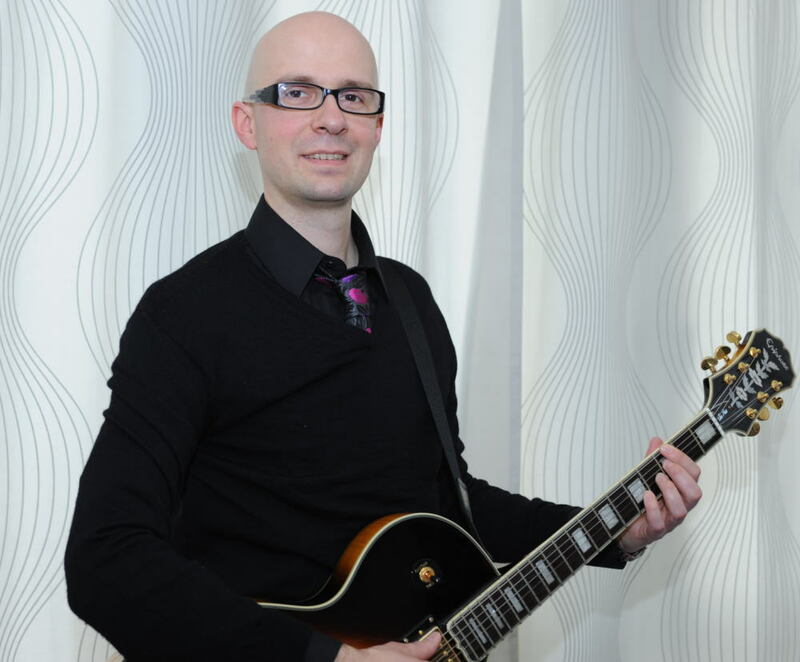 Since 1999 he has been working in London as a guitar teacher an a band director at various schools and institutions. He also hosted a number of music workshops in UK and in Japan. As a performer he has travelled the world from Norway, UK, Ireland, UAE, all the way to Australia, New Zealand and Japan. He had performed at some most of the eminent venues and festivals in the world such as: Royal Festival Hall, Royal Albert Hall, Wigmore Hall, Shepherd's Bush Empire, Glastonbury, Reading, Fringe festivals (all in UK), Enmore Theatre (Sydney Aus), Forum (Melbourne AUS), Spiegel Tent (Auckland NZ), and Womad Festivals from Abu Dhabi (UAE) to Adelaide (AUS) and Las Palmas (Spain). She graduated from Osaka College of music majoring in composition in the class of Professor Suzuki Hideaki. During these studies, she also acquired a license for teaching music for junior high and high school. Soon after she moved to the UK to continue her study of composition at the Trinity College of Music in London, in the class of Daryl Runswick. She then continued her studies at the Trinity College of Music, completing her Master Degree in Music Education two years later. During her residence in the UK, she taught piano and ran the music classes in various schools in London. She was also a founder and leader of her own music and movement class. Her teaching career in Japan includes the position of a music teacher at Canadian Academy in Kobe and Kyoto International School. Graduated from Waseda University majored in writing communication. Working at the editing production as a writer and editor. Joined the photo workshop organized by Eiko Hosoe, the photographer. Traveled around Europe and South-east Asia including China, Thailand and Laos. Speaking English. Some Chinese and French. Kumiko was born in Hyogo, Japan. She had studied at Conservatorio di Musica "F.E.Dall'Abaco" in Verona Italy, graduating with top honors. During her studies there, she has also won 1st prize at several Chamber Music Competitions in Italy. She widely performed all across Italy and Russia with Chamber Orchestra 'La Risonanza' as the principal cellist, as well as with Orchestra of the Fondazione Arena di Verona. She completed her Master’s degree at the Salzburg Mozarteum University, and has performed at the Salzburg Festival. She was a core member of Hyogo Performing Arts Center Orchestra (Hyogo PAC Orchestra) from 2008 through to 2011, and has participated in Affinis Music Festival during her contract. Upon completion of her Hyogo PAC contract, she moved to Munich to seek further opportunities of training. She hosted a recital upon her return to Japan in 2013 and has been active as a solo performer ever since. Her horizonshave stretched beyond solo performances, as she has often been a guest performer with local orchestras across Japan, cello ensembles, and chamber music series. Since April 2015, she’s affiliated with a newly launched Orchestra Japan. She made profound study with Tatsuo Saito, Toshiaki Hayashi, Enrico Bronzi, and Wenn-Sin Yang, also participated in master classes in Europe and learned from prestigious cellists such as Frans Helmerson and Christoph Henkel. As an educator she taught at the Conservatorio di Musica "F.E.Dall'Abaco" as an assistant. She has joined KIMA in 2013. Aya has studied contemporary vocals at the School of Creative Arts in Sydney Australia, where she has gained an Advanced Diploma. She has specialized in contemporary singing technique suitable for styles such as pop, folk, jazz, etc. Her speciality also includes work on vocal chord health and longevity. She lived overseas in the UK, Congo, the US, and Australia. During this time she has been surrounded by multicultural environment and various musical styles, which she has learned to enjoy. Since her return to Kobe from Sydney she has been teaching and has also been active on the gigging scene. She also holds a B.A. degree in business management gained at Nanzan University. Yuri started learning Violin at age of 5. She graduated afrom music department at Hyogo Kenritsu Nishinomiya high school. She then continued her studies at Soai university's, string department. In 2005 she won the prize at the All Japan Soloist Competition, where as a winner she perfromed. In the same year she participated at the Kyoto international student music competition. Upon her graduation from Soai university at 2006, she won the scholarship to join the Asia Youth Orchestra. In 2007 she went to Swistzerlamd, where she studied with H.Kayaleh. In 2009 Yuri had a solo recital at Niyon at Swisterland. During this time she also studied with Sachi Tougi, Chieko Sogabe, H.Kayaleh. Currently apart from teaching at KIMA she is also an active perfromer. 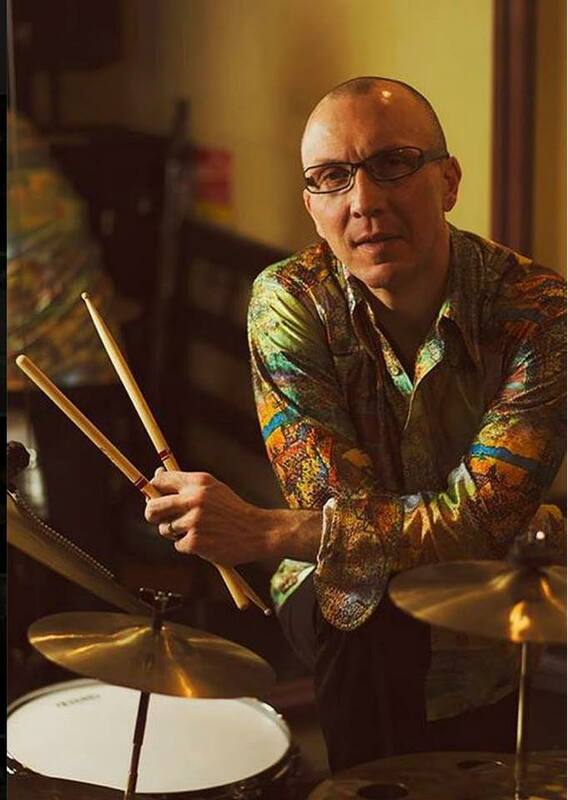 Eric Wiegmann began playing drums at the age of six. Fascinated with rhythm and the music surrounding him in a busy home, Eric began to practice diligently. His family was supportive of his drumming and enrolled him as a student in the academy of master drummer John Crocken in Baltimore, MD (USA). He studied for many years there and also throughout his youth in school orchestra. As a teen, Eric performed widely with various popular local acts, recorded two full-length albums and toured the United States. As an adult, Eric has competed and won first place in several drum solo competitions and is an active performer, teacher and recording artist. He has performed on live television, live radio, recorded commercials and music videos. In Japan, Eric is an active drum teacher with a focus on both rudimental snare drumming and drum set. He is an endorser for D'Addario (Evans/ProMark/Puresound), Amedia Cymbals, Vruk DrumMaster, Kickport and T n R Products. As a teacher Eric has taught both English and drumming to children in Japan for twelve years. He is a committed and focused educator intent on helping his students bring out their very best effort. 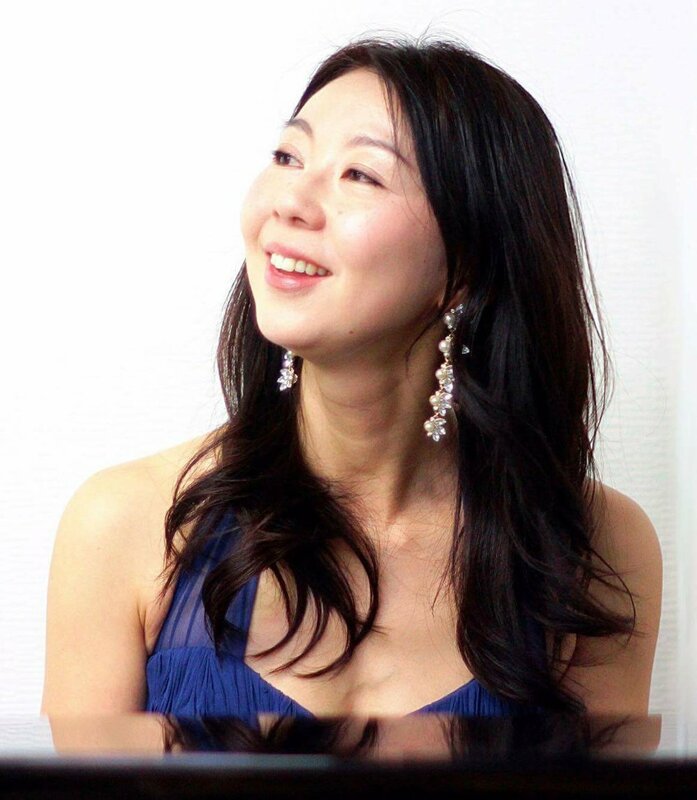 Yuka is a graduate of Hyogo Prefectural Nishinomiya High School of Music Studies, major piano , and Soai University Department of Music, major piano. During these studies, she has also completed another course and gained a license as a junior high school and high school music teacher. After graduating, she worked as a junior high school and an elementary school full-time music teacher, for a number of years. Yuka is currently working as a piano teacher at KIMA, with a wide variety of students. Graduated from Aichi University of Art, music faculty vocal department. At the same time she also gained Music Teaching qualification. Upon completion of her studies in Japan, she moved to Germany as a Rotary International Foundation postgraduate scholarship student. There she enrolled at the German National Duisburg University of Music, studying vocal as a major. Upon recommendation of the university principal she became a resident solo performer at a church in central Germany ,where she held regular recitals. While in Germany she also graduated from German National Schumann Music Conservatory, as a vocal teacher and accompanist as well as a piano teacher. Upon her return to Japan she has been teaching piano privately as well as at the St. Michael’ International School in Kobe. She has joined KIMA in 2014.